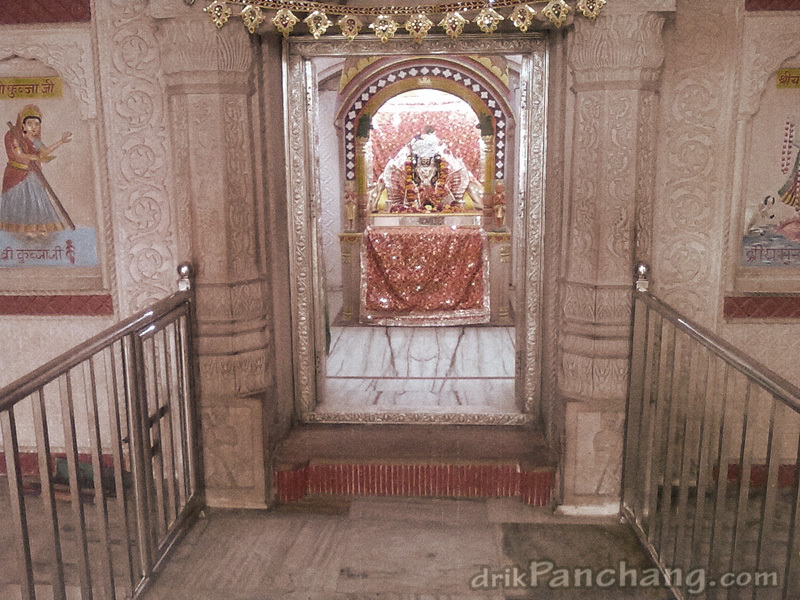 Although all festivals are celebrated with full enthusiasm in this temple but Chhappan Bhog (56 delicacies) which is arranged on Vasant Panchami is the main attraction and provides unique hue to this temple. This day lacs of devotees visit the temple. On Rang Bharani Ekadashi, Thakur Keshav Dev’s Sawari (ride) is taken out from Gatashram Ghat which ends at Keshav Dev temple. This Sawari is the main center of attraction for foreign devotees. Deepotsav, which means celebration of light in Hindi, is organized in this temple on Chhoti Diwali, which is also known as Narak Chaudas. Darshan of Thakur Keshav Dev’s 24 Avtars can only be done once in a year. This special Darshan can be done only on Akshaya Teej while rest of the year, Darshan of Chaturbhuji Avatar can be done. On Akshay Teej, devotees throng the temple to sight 24 Avatars of Lord Keshav Dev with lots of charm and curiosity. 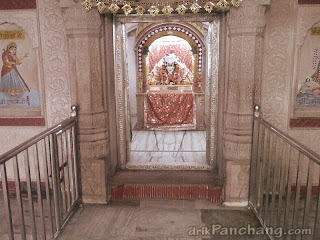 In most temples in Mathura, Janmashtami is celebrated on Ashtami Tithi, but resident of Mallapura celebrate Sri Krishna’s birth on Saptami Tithi. Potra Kund, a water body, which is located near to Keshav Dev temple is renowned because it is believed that people of Mathura used this Kund for the purpose of holy bath after Sri Krishna was taken to Gokul.